My god daughter is finally a big sister!! She has a little baby brother! We are all so excited! Have a beautiful and happy life little boy! Welcome!! So cute and lovely baby card!!! Excellent work, Lena! Love it! 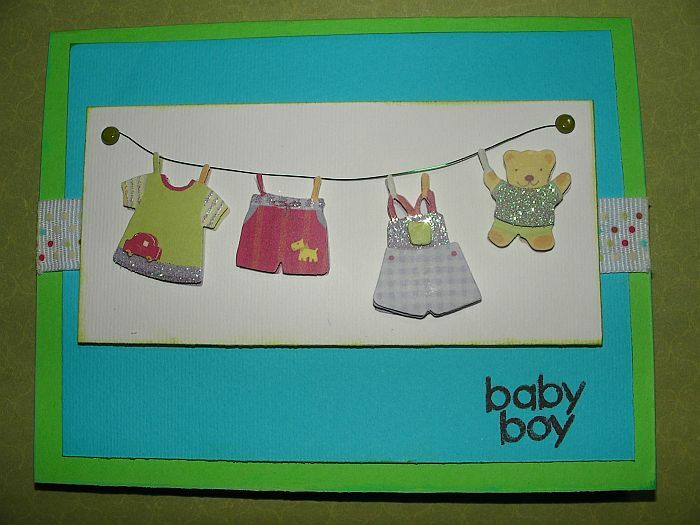 Congrats for the new baby boy! συγχαρητήρια για το μικρούλη!! να είναι καλότυχος στη ζωή του!! Λένα μου να σας ζήσει!!! Καλή ανατροφή να έχει!! Να σας ζήσει ο μικρούλης!!!! !Η καρτούλα είναι πολύ πολύ γλυκιά!!!!! Πολύ χαριτωμένη καρτούλα Λένα!!! Να ζήσει το μωράκι! Πολύ γλυκιά η κάρτα!!! Καλότυχος να είναι ο μικρός!! Πολύ γλυκιά καρτούλα!! Να ζήσει το μωράκι! 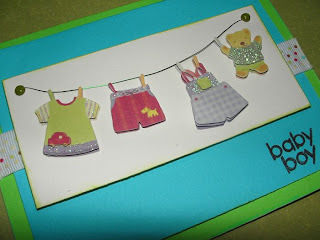 Congrats lena, and your card is so cute, love the litlle clothes on it. τρελαίνομαι για μανταλάκια!!! !τέλεια η κάρτα!! Ελα μια βόλτα από το μπλογκ μου! Thank you for leaving your comments! My name is Lena and I live in Greece!I am a wife and a mother of two little sweethearts. 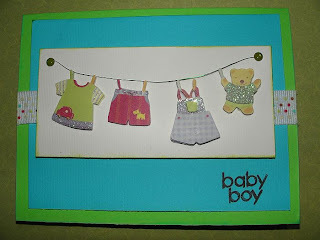 I love creativity.Scrapbooking is an art I enjoy in my free time! 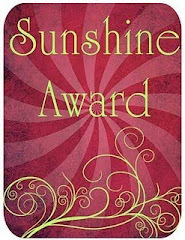 Thank you for visiting my blog, enjoy reading posts and looking around! While you are here please respect any and all content within the page(s) of this blog. Projects shown are for your inspiration only and you may not claim them as yours. You may not copy, change, print, or publish any content from this blog without written permission from me. Most all writings and art work are my own property unless otherwise implied.Thank you! I proudly present you....Enjoy Scrapping! We are crafting .... after a long time!